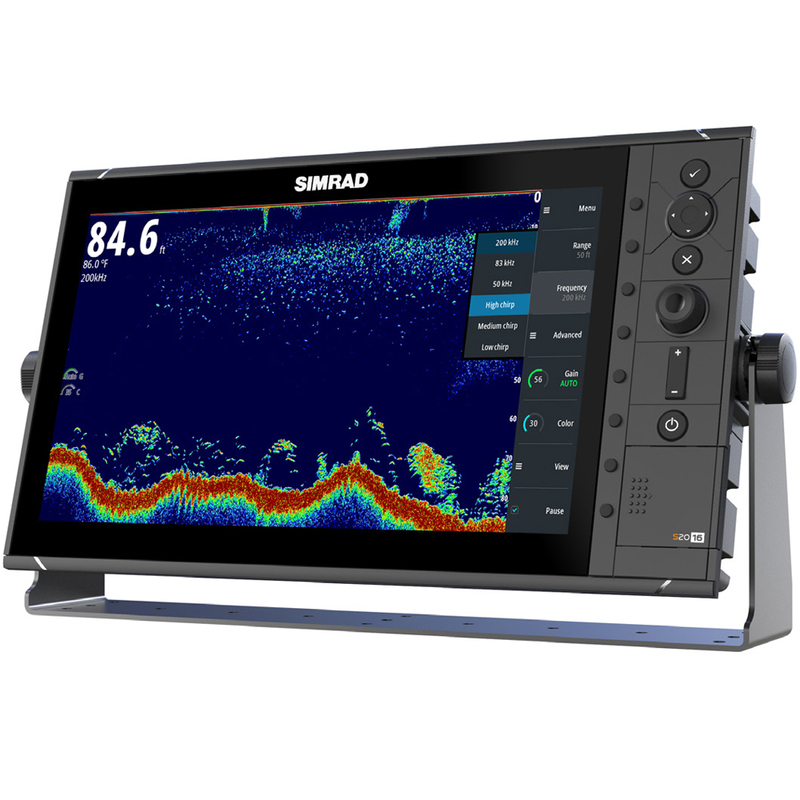 This high-performance 16-inch multifunction display is perfect for offshore cruisers and sportfishing boats. Enjoy intuitive touchscreen access to charts, sonar, radar, autopilot control, and much more. It¹s easy to build your perfect system by combining multiple displays and your choice of accessories. Enjoy a big-picture view of charts, sonar, radar, and more. This high-performance 19-inch multifunction display is perfect for larger offshore cruisers and sportfishing boats. Combine multiple displays across the dash or at remote stations, and share access all connected accessories from any display on board. The integrated NSS evo2 MFD features a sleek display with TouchSensible multi-touch interaction. The NSS evo2 is well suited for center consoles, sportfishing and power cruising boats. Includes HEROiC software. 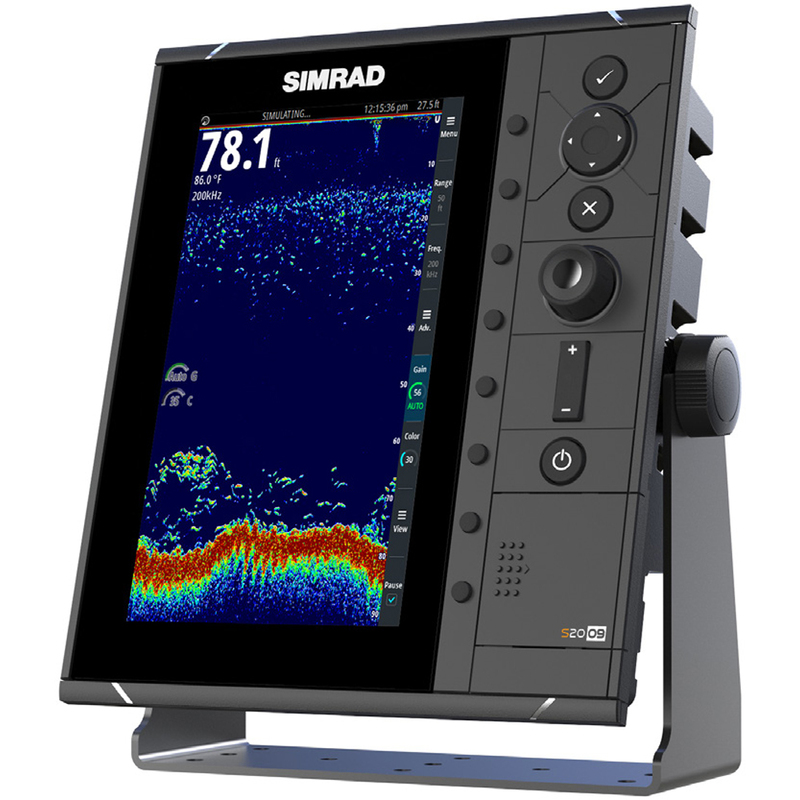 The Simrad S2009 Fish Finder combines the Broadband Sounder module with CHIRP technology, 9" portrait display for maximum vertical detail, and intuitive keypad-driven operation. Robust yet compact with both bracket and flush-mount installation options, the S2009 was designed to meet the need for a dedicated fish finder display aboard coastal and offshore fishing vessels. 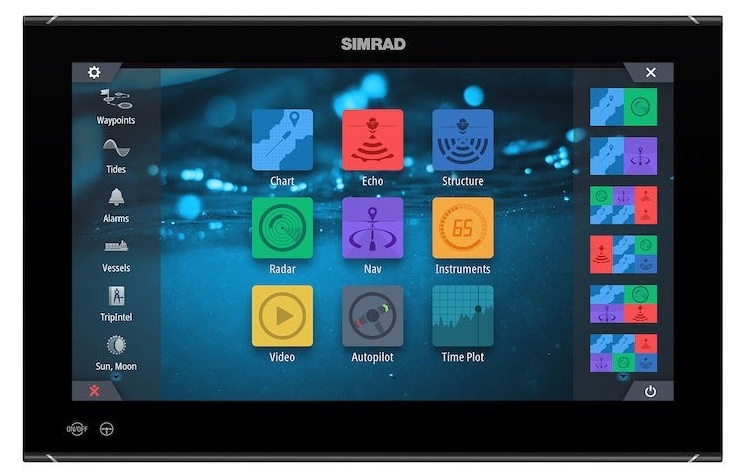 The Simrad S2016 Fish Finder combines the Broadband Sounder module with CHIRP technology, 16" widescreen display for an extensive on-screen history, and intuitive keypad-driven operation. Robust and offering both bracket and flush-mount installation options, the S2016 was designed to meet the need for a dedicated fish finder display aboard coastal and offshore fishing vessels.